Over the past few years, we have become increasingly aware of our dependency on technology. It helps us wake up in the morning, get from point A to point B, connect with friends and family, and brings us our daily dose of news. “The Voice and the Machine” dives deeper into this growing dependency illuminating technology’s role (for good or bad) in filling our need to feel loved, calming our anxieties, and even satiating our snack food cravings. 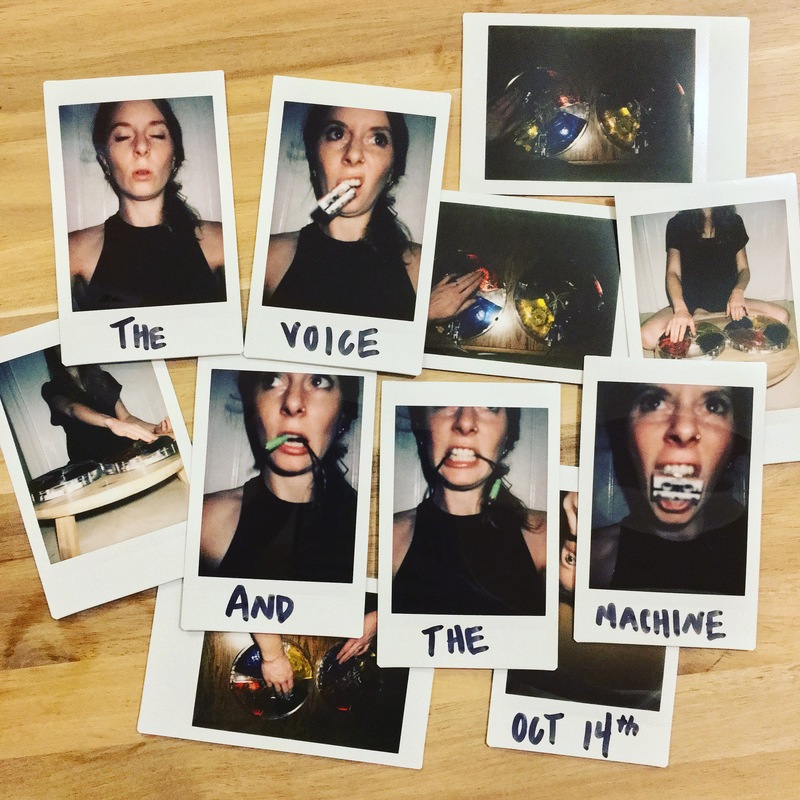 The Voice and the Machine is a program of 5 pieces including different combinations of SATB voices (Amy Foote, Melinda Becker, David Katz, Sidney Chen), cello (Helen Newby), and live electronics (Aaron Gervais). In addition, Dennis Aman’s piece utilizes his own creation (an invented instrument called the “Jellyphone”) which is a midi controller fashioned after a 1970s electronic memory game (Simon) with the plastic colored touch-pads replaced with flavored gelatin. Each piece on the program investigates the relationship between our technological culture and our humanness, focusing on the “magic” technological advancement performs on our emotional and spiritual selves. Laura Steenberge’s piece Lucretius for three unaccompanied voices uses an ancient text that ponders the role of technology in influencing perception. Aaron Gervais has two pieces on the program. His first, “Louis CK am Spinnrade” (mezzo, cello, video), illustrates the use of technological distractions to avoid dealing with uncomfortable emotions, realized as a collage of a Louis CK video material and fragments of Schubert’s Gretchen am Spinnrade. Gervais’ second piece on the program, “Longuement me sui tenus” (SATB, live electronics) uses a deconstructed Machaut text and processed voices to exemplify barriers to communication. Isaac Schankler’s piece for tenor and electronics, “Mouthfeel”, uses text from a Doritos Locos Tacos marketing meeting and details the technology behind artificial flavorings to trick our brains and stomachs into feeling satisfied. The last piece on the program, by Dennis Aman (SATB, cello, and 8 Jellyphones) is surely the piece with the most “technology” involved. Each “Jellyphone” is handmade and emits 4 separate (and distinct) tones when the player (each member of the group) touches the piece of flavored gelatin atop the electronics. As if approaching an oracle, the soprano soloist, seeks guidance to find how to maintain her human-ness within the context of a technologically based culture.